The Philippines' main capital sprawl of Metro Manila is not the friendliest destination for families, but luckily for travelers with kids, exceptions can be found to the rule. This writer and his family found themselves at the newly-opened (as of May 2016) Shangri-La at the Fort, located at the Bonifacio Global City (BGC) business district in Metro Manila. As a long-time Manila resident, I know first-hand how traveling families might feel put-off by the capital's congestion and general grittiness. As soon as you're over BGC's boundary line, however, these concerns simply don't apply. “[We're] opening in Bonifacio Global City, one of the fastest-rising urban areas in Southeast Asia, and an emerging financial/corporate district in the city,” explained John Rice, the Shangri-La at the Fort's General Manager. BGC, Mr. Rice told us, is one of Manila's safest and most modern neighborhoods, albeit one flowing with creative juices. Armed with Mr. Rice's gracious invitation, we found ourselves heading to the Shangri-La at the Fort's gleaming glass tower off the western end of BGC's posh High Street shopping district. To my mind, the whole complex was designed to dominate: the 62-story tower, rising over 250 meters above the street, is one of the tallest in the Philippines, with space to spare inside as well. Entering the high-ceilinged, well-lit lobby, you feel tiny in comparison to the rest of the interior. Thankfully, just as cavernous as the lobby was, our deluxe king room up on the 19th floor felt cozily intimate. 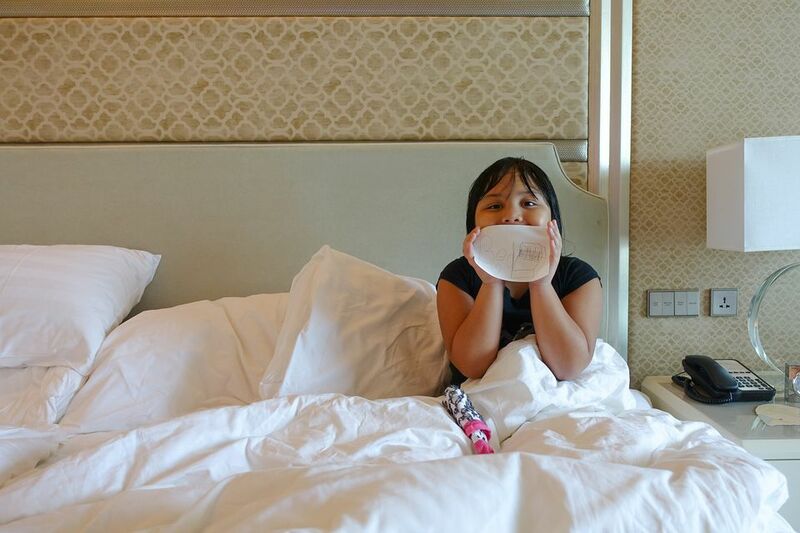 The Shangri-La's Hirsch Bedner Associates-designed rooms strike a number of harmonious notes for family travelers. At our 48-square-meter deluxe room, understated earth tones and plush finishes gave off a warm glow, thanks to the natural light thrown in from the floor-to-ceiling glass window. The Shangri-La's 576 guestrooms occupy floors 18 to 39. If you're traveling with a bigger family and have a little more cash to burn, the Shangri-La offers 41 Premiere Suites; four Specialty Suites; and a capacious 235-square-meter, three-bedroom Shangri-La Suite. So it's not just executives the new Shangri-La hopes to hook with its facilities: “We target the foodies through our 15 restaurants and bars in the complex, the fitness enthusiasts for Kerry Sports Manila, the families for Adventure Zone, and many more,” explained Mr. Rice. The Kerry Sports Manila complex occupies three levels, accessible only from its sixth-floor lobby. The 8,000-square-meter complex is the largest indoor dedicated recreation space in Manila, with a massive menu of activities for the sports-minded. Free weights and weight machines; a full-sized, NBA-standard indoor basketball court; a squash court; two tennis courts; treadmills and spin machines; and session rooms for yoga, aerobics, and pilates. With the eighth-floor hotel swimming pool still under construction, guests temporarily had access to Kerry Sports Manila's 25-meter long lap pool. We headed there at mid-afternoon; not long after, the pool was alive with other guests and their kids, all warding off the summer heat in the cool pool water. A second elevator lobby at the Kerry Sports Manila complex led one floor down to the Adventure Zone, an indoor playground that was right in my daughter's wheelhouse. Access to the Adventure Zone isn't free to guests. You'll pay an additional PHP 600 (about $12.80, read more about money in the Philippines) per kid if you're a guest; only Kerry Sports Manila members get free access to the Zone. Non-guest walk-ins are not allowed at all. Assuming your kids have the proper attire to get in (long-sleeved shirts; socks), they'll enter a multilevel maze of slides, rope bridges, and ladders, interspersed with four party rooms; a roleplaying area; and a toddler-friendly play zone – all designed for maximum little-one fun. Breakfast at the lobby-level High Street Cafe felt like we'd been turned loose in the equivalent of a culinary library. The effect is intentional: nine different food stations are installed like “bookcases” down the length of the Cafe interior, with guests “browsing” through the aisles for a different food experience per stop. I had a laksa craving that morning, which the High Street Cafe's Chinese cuisine station promptly obliged: a creamy noodle-and-coconut-milk stew that I garnished on my own with fried garlic, raw onion slices, and a single hard-boiled egg. Eaters looking to fulfill other cravings can take advantage of a Mediterranean station that serves up a variety of tapas; a Japanese station serving sushi and sashimi made out of line-caught yellowfin tuna; and a pastry station with a gelato selection and desserts you can flash-freeze in liquid nitrogen. Other dining establishments at the Shangri-La at the Fort include the Samba poolside resto-bar serving South American cuisine; Canton Road, a Cantonese and Huaiyang restaurant; the Raging Bull Chophouse and Bar, and Limitless, a two-level watering hole. The rest of BGC, so easily accessible from the hotel lobby, is just as much a part of the Shangri-La experience as the hotel's interiors. Location: 30th Street, corner 5th Avenue, Bonifacio Global City, Taguig, Metro Manila, Philippines. Thirty-minute drive from Ninoy Aquino International Airport. Rooms: 62 stories. Hotel: 576 guestrooms, including Deluxe rooms, Premiere Suites, Specialty Suites, and one three-bedroom Shangri-La Suite. 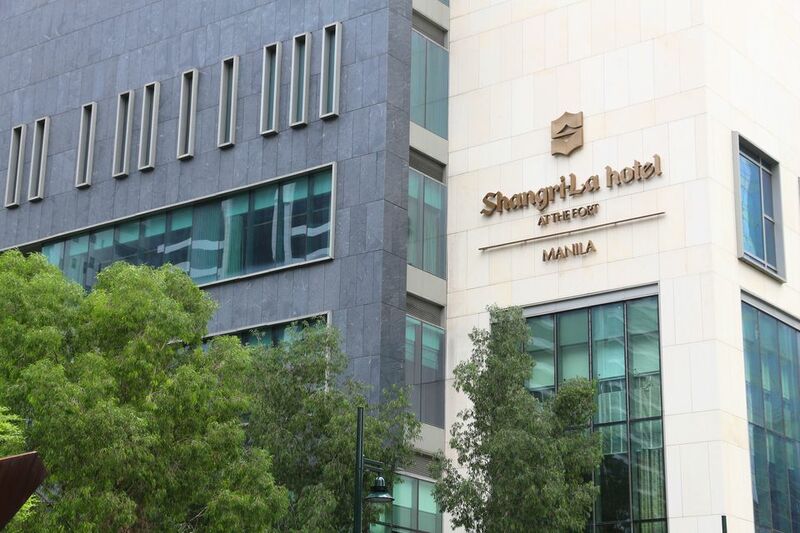 Shangri-La Residences: 97 serviced apartments in one, two and three-bedroom options. Horizon Homes: 98 bespoke private homes. Amenities: Free WiFi access in all rooms. Kerry Sports Manila, the Philippines’ largest indoor sports complex at 8,000-square-meters over three levels. Swimming pool on the 8th floor. Adventure Zone for kids on the fifth floor. Retail Podium, with 36 attached premium retailers. 15 F&B outlets. Horizon Club lounge on the 40th floor; Horizon Club guests get exclusive privileges. Direct access to Bonifacio Global City's potent mix of dining, drinking, shopping, entertainment, and business.